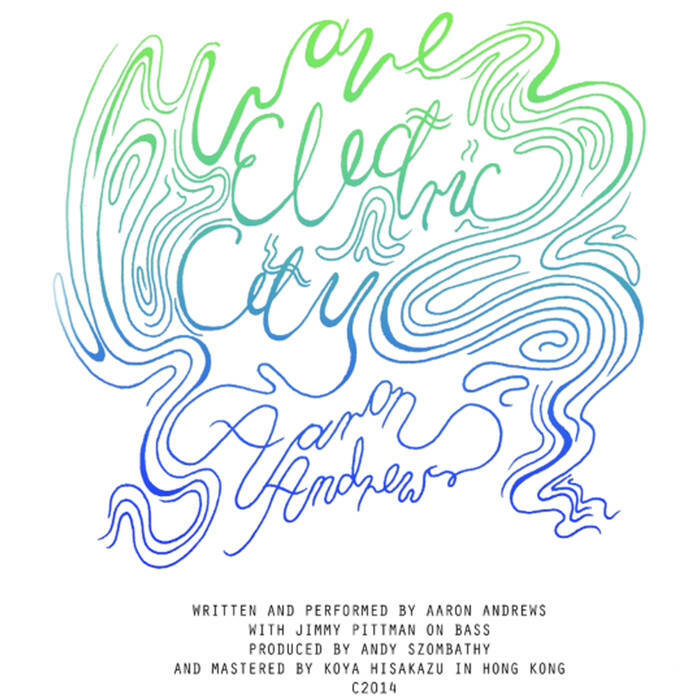 Wave Electric City is a full length album from Canadian singer-songwriter Aaron Andrews. The Vancouver-born musician recorded Wave Electric City, his second record following Scratch Nasty, in our very own city over three years. During his stay in Hong Kong, Andrews also founded musical groups The Homestead and Humble Mutts. His experiences working with his band members contributed heavily to the formation of Wave Ride City. The album has been described as an extension of Andrew’s previous record which was written and recorded while he was in New Zealand. Andrews describes his music as ‘acoustic, laid back and confident, with spiritual roots in blues, folk and reggae music’ and at first listen, the listener immediately understands. The 11 tracks of Wave Electric City stand up to the description with the constant acoustic guitar with some tambourine littered throughout. The upright bass that can be heard throughout the album adds a nice folk touch and gives the music a sort of nomadic feel with the constant beat lurking behind the light pretty acoustic guitar that is the main body of most of the tracks. A stand out track is NN1 with its jaunty guitar melody that is reminiscent of Ed Sheeran. This is definitely one of the tracks on the album with more substance and has a bit more weight behind it. This is all thanks to Andrew’s unique and satisfying use of minor chords in his work. All the instruments come together to pair with Andrew’s soft voice to create a somewhat melancholy mood. However, the accomplishment in NN1 is that this darker mood is still supported with just as much light energy as all the other tracks while still managing to sound cohesive. These clashing intricacies are what bring the standard of this track slightly higher than the rest. The final track, These Days, is great at the end of the record as it really embodies what the whole album is about. The beachy atmosphere is never stronger than on this track and the back-up singers who echo some lyrics are so potent that if you closed your eyes, you probably see a montage of past childhood summers flashing by. Andrew’s guitar playing is so intriguing and captivating but sometimes this distracts from the vocals so many times during the record therefore the lyrics are left on the back burner. The album overall owns a sort of peaceful vibe that is very steady, in fact it brings to mind the idea of a good friend, solid and unwavering. 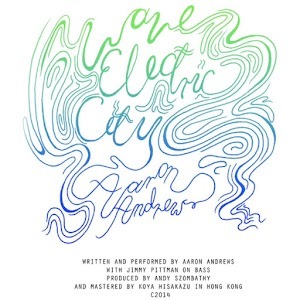 Listening to the tracks, especially Down to the River, the listener is immediately and vividly brought to lazy days near the beach which is an amazing feat considering that the album was written and recorded in Hong Kong which is as far away from a relaxing seaside coastline as possible. Wave Electric City is an easy acoustic listen that is the perfect background music to a cross country summer trip that brings to mind the likes of Colbie Caillat and Jason Mraz.